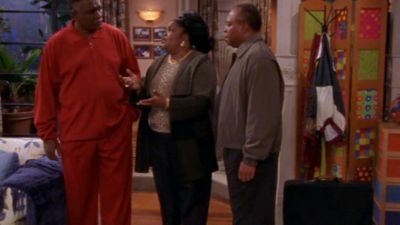 Here's where to watch every episode of The Parkers season 3. Mouseover or tap an episode to see where to stream it. Click or tap the play icon to stream it on the best available service. Baby Girl Sep 10, 2001 With Michael missing in the aftermath of the oil-rig fire, it falls to Kim to care for his infant daughter Alisa, a job she's more than eager to do. But Nikki thinks the task calls for more maturity. She contacts Alisa's birth mother to come for her child---alienating her own daughter in the process. Meanwhile, Professor Oglevee tries to disprove his therapist's assertion that he's in love with Nikki by trying to rekindle a romance with Toni. Crazy Love Sep 17, 2001 musical guest: Brian McKnightProfessor Oglevee enlists the help- and vocal stylings- of R&B superstar Brian McKnight in his attempt to woo Nikki away from her new love, Kenny. But she turns a deaf ear to his mating call, forcing Stanley to resort to drastic measures to put an end to Nikki and Kenny's budding romance. Meanwhile, Kim baby sits T's rambunctious cousins. Not So Super, Supers Sep 24, 2001 When the apartment building tenants vote to fire the nosy superintendent Aldo, mechanically challenged Nikki and Kim elect themselves superintendents in exchange for free rent. But a series of mishaps and complaints from the tenants lead them to reconsider whether their new careers are so super after all. Also, Professor Oglevee has eyes for a new tenant, which does not go over well with Nikki. Nobody's Fool Oct 1, 2001 Nikki discovers an unsavoury side of Lady Egyptian that leads her to quit her job. While attempting to create her own beauty line, she winds up cooking herself up a tasty new career. Meanwhile, unbeknownst to Professor Oglevee and T, they have something in common. A Knockout Times Two Oct 8, 2001 All bets are off as Nikki steps into the ring and goes toe-to-toe in a battle for Professor Oglevee. Meanwhile, Kim finds her soulmate and intellectual equal at ringside. Baby, You've Got to Go Oct 15, 2001 Kim and her new boyfriend, Aaron, reconcile and agree to a living arrangement that forces Nikki to move in with Andell. Take the Cookies and Run Nov 5, 2001 Stuck with 6,000 cookies, Nikki taps the girls from her Big Sister program to sell the sweets in exchange for Lil' Bow Wow tickets. The Altos Nov 12, 2001 Nikki lands an internship at a waste-removal facility and becomes convinced that her new boss is a mobster. Meanwhile, Kim pretends to have multiple personalities in order to appear on MTV's ""True Life"". Family Ties and Lies Nov 19, 2001 Nikki is stunned by a revelation about her Aunt Rita when the entire family appears on a game show that exploits family secrets. The Revolution Jan 21, 2002 Professor Oglevee recalls the 1972 incident that led Santa Monica College to institute a Black Studies program. My Two Dads Feb 4, 2002 Nikki's biological father visits, sparking a fierce rivalry with her adoptive dad, George, for her affections. Also, Kim competes with Regina over the planning of a luncheon in Nikki's honor. To Love or Not to Love Feb 11, 2002 musical guest: Kenny LattimoreAfter Nikki's crush on Professor Oglevee gets out of hand on Valentine's Day, Kim persuades her to join a support group for the lovelorn. Meanwhile, Kim receives gifts from a secret admirer. Don't Believe the Hype Feb 25, 2002 musical guest: Lil' ZaneAfter reuniting with his childhood pal, Lil' Zane, T decides to leave Freestyle Unity, the band he, Kim and Stevie created, on the eve of their scheduled performance at the Spring Jam open mic night. A Beautiful Lie Mar 18, 2002 Kim, Stevie and T take an I.Q. test as part of a contest to win a car, but after a mixup with the scores, Kim is convinced she is a genius while Stevie's confidence is shattered. The Crush Mar 25, 2002 Professor Oglevee's nephew develops a crush on Nikki. Meanwhile, Kim feels left out of her cousin's friendship with Stevie. The Dates From Hell Apr 29, 2002 After her break-up with Aaron, Kim agrees to join Stevie in trying a speed-dating service. Meanwhile, Nikki works at Andell's club and catches Professor Oglevee on a date with another woman who turns out to be married. While on a date, Stevie frets over the fact that she doesn't act very feminine. 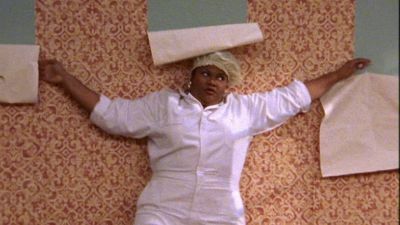 It's Showtime May 13, 2002 After Nikki's friend, Bernetta Campbell, wins the lottery, she quits her job working for Magic Johnson at the Magic Johnson Theatres and recommends Nikki to become the new theater manager. But Nikki's bossy attitude leads her staff to quit. Meanwhile, Professor Oglevee has a date with actress Kenya Moore. Teach Me Tonight May 20, 2002 Kim is on academic probation and hires a tutor for help with her studies. When she learns that her tutor is her former speed-dating partner Alan, she tries to woo the disinterested fellow. Due to budget cutbacks, Professor Oglevee must fire two of his best associate professors. After appealing to the dean of students, he finds himself out of work. Depressed, Stanley simply makes everyone believe that he has been promoted a job at USC. To celebrate his new job, Woody takes Stanley for a drink at Andell's club where he becomes heavily drunk. Nikki comes to the rescue and later head for the professor's apartment. Stanley finally reveals to Nikki that he lied about his new promotion and that he was fired. Nikki comforts Stanley which later leads to an unexpected kiss.